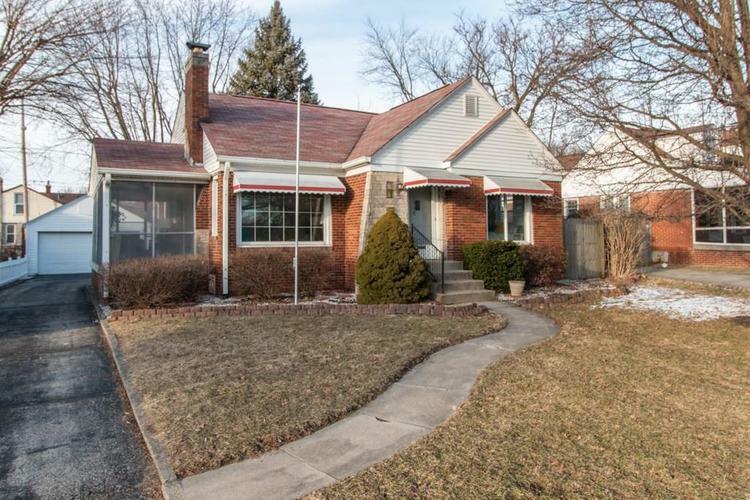 In one of the most desirable areas of Irvington, this gem is right across the street from gorgeous Ellenberger Park. Amazing natural light—just look at that great big picture window! Two bedrooms, two baths, new kitchen appliances, fantastic finished basement with brand new berber carpeting, screened porch, original built-ins, beautifully refinished floors, 2-car garage, covered patio, and a fabulously HUGE storage barn! Walk to the pool, farmer's market, playgrounds, and concerts and food trucks! So much space, such a great price in gorgeous Irvington, just 4.5 miles from downtown Indy! Directions:I-70 to Emerson south to 10th St east Ritter Ave south to St Clair west to home.